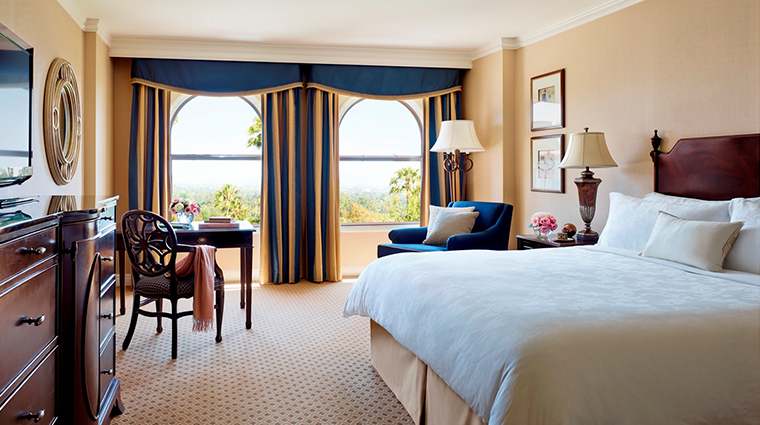 The Langham Huntington, Pasadena has been a fixture of the city ever since it was built in 1906. 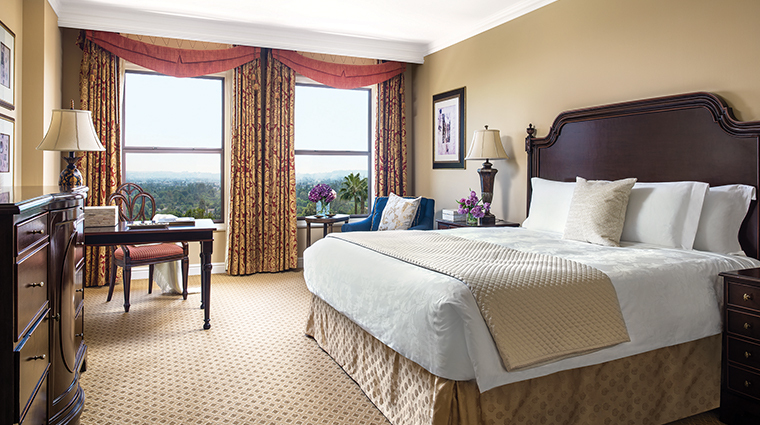 After it failed to take flight as the Hotel Wentworth in 1907, it was resurrected in 1911 as the Huntington Hotel when railroad tycoon and art collector Henry Huntington purchased it and employed prominent Los Angeles architect Myron Hunt to redesign the main building and grounds. 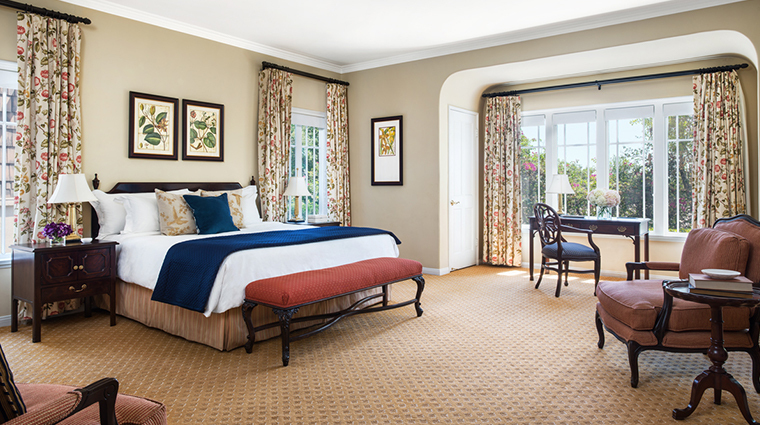 Situated on 23 acres, the expansive hotel is made up of 379 guest rooms, 38 suites, eight private cottages and a two-bedroom, two-story Tournament of Roses suite. 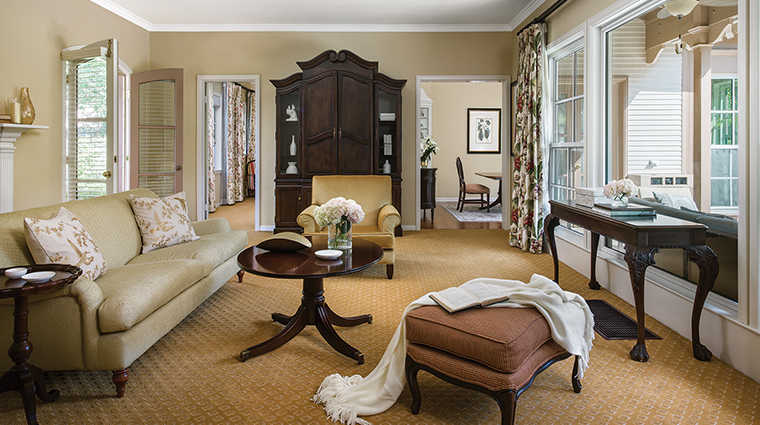 It also offers three grand historic ballrooms and two gardens. 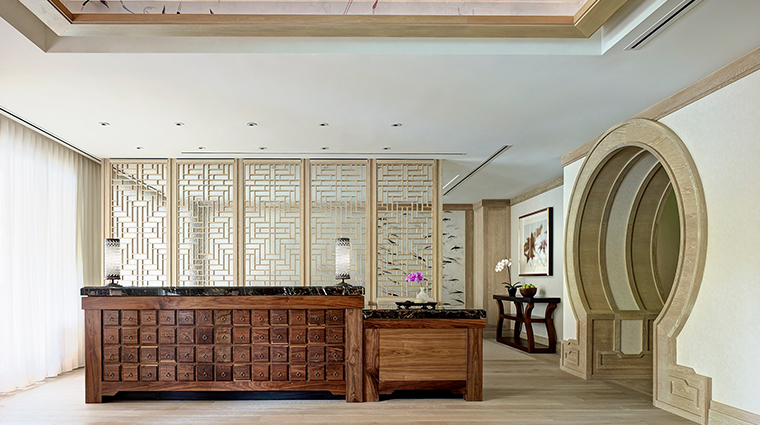 While you're visiting the luxury Four-Star hotel, enjoy a game of tennis on one of three lighted courts, daily fitness classes, treatments in the new Chuan Spa or an afternoon lounging poolside and grabbing cocktails from the pool bar during the summer. 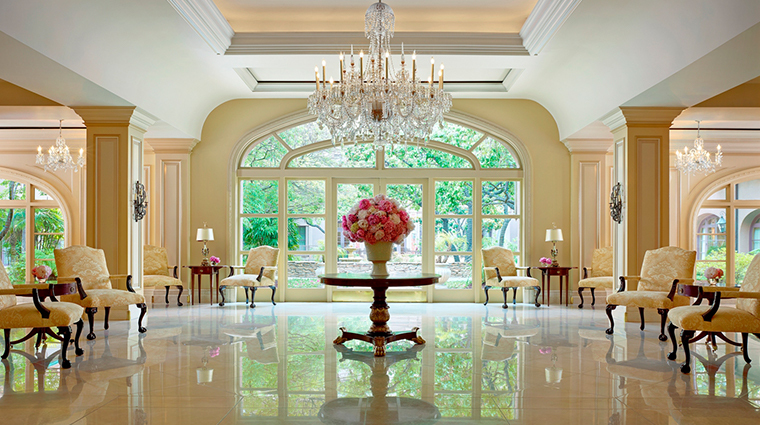 Immerse yourself in European luxury as you meander through the corridors and ballrooms gazing at fine art, Asian vases, fresh flower displays and crystal chandlers, which were made by the same atelier who supplied the palace of Ludwig II, the "Mad King of Bavaria." 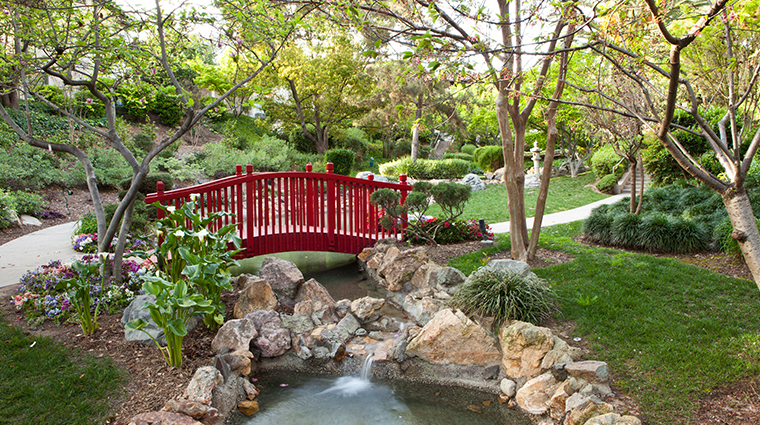 On the grounds, stroll through the impeccably manicured palm-lined lawns of the Horseshoe Garden, and among the terraced ponds and gently cascading waterfalls in the Japanese Garden. 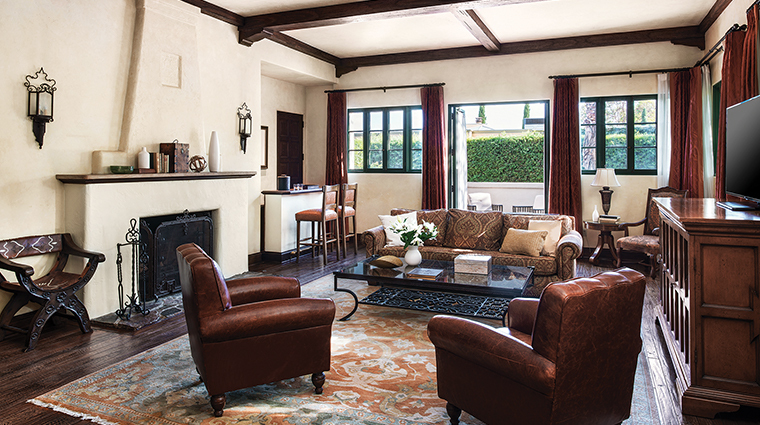 The Langham is conveniently located to all Pasadena attractions, including the Rose Bowl, Norton Simon Museum and the Huntington Library, Art Collections and Botanical Gardens. Upgrading to the club level ensures premium comforts, such as bespoke concierge services and five food and beverage presentations daily. That includes tea, cocktails, snacks and a continental breakfast. 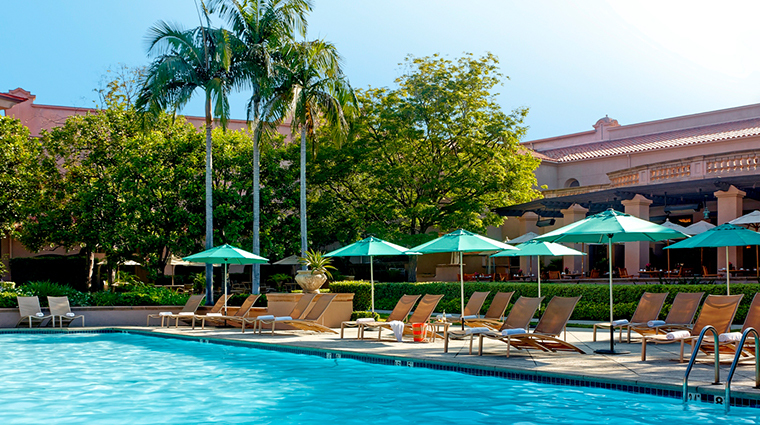 Soak up the southern California sunshine beneath the palm trees in the hotel’s heated saline swimming pool. Enjoy a handcrafted signature smoothie or cocktail while relaxing in poolside lounge chairs. The restaurants and Huntington Ballroom host decadent brunches and dinners for Christmas, Easter and Mother's Day, among others. 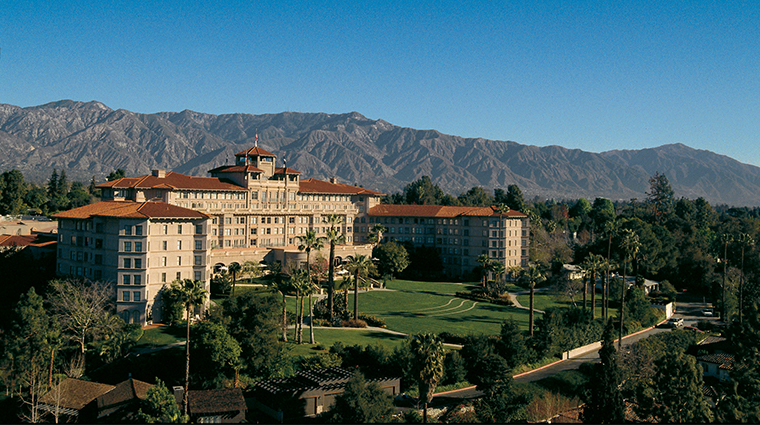 One thing to note: The Pasadena hotel is situated in prime Rose Bowl territory, so if you want to visit in the New Year during the Tournament of Roses, plan well in advance. 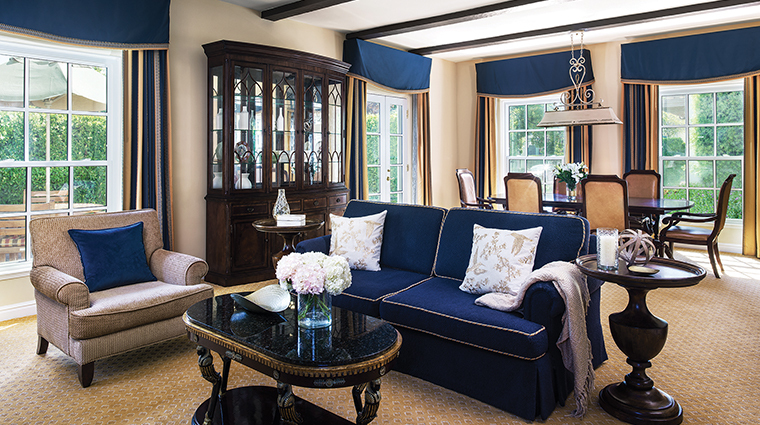 Decked out in navy and gold, a room at The Langham Huntington, Pasadena is classical design fused with the high-tech comforts that you expect. 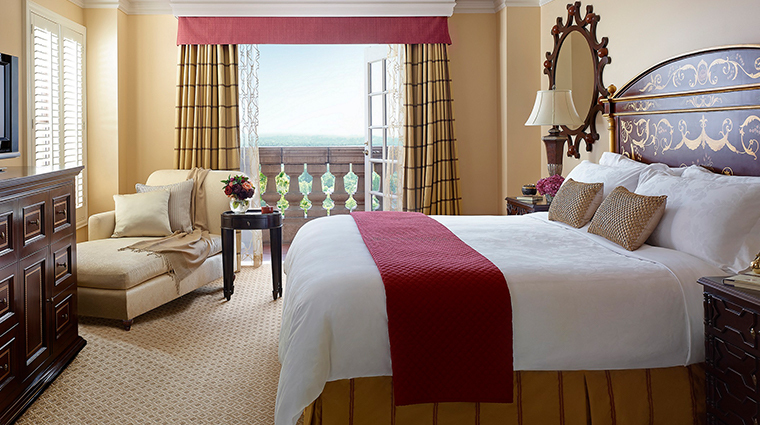 All accommodations feature The Langham's signature Blissful Bed, flat-screen TVs, complimentary Wi-Fi, a stocked mini-bar, an Italian marble bathroom and bath amenities from the hotel's spa. 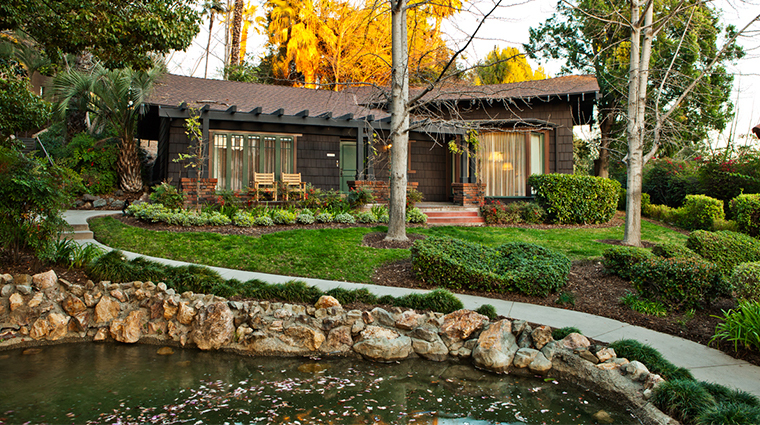 The cottages are like homes with patios and kitchens, and are good options for larger parties looking to stay longer at the Pasadena hotel. 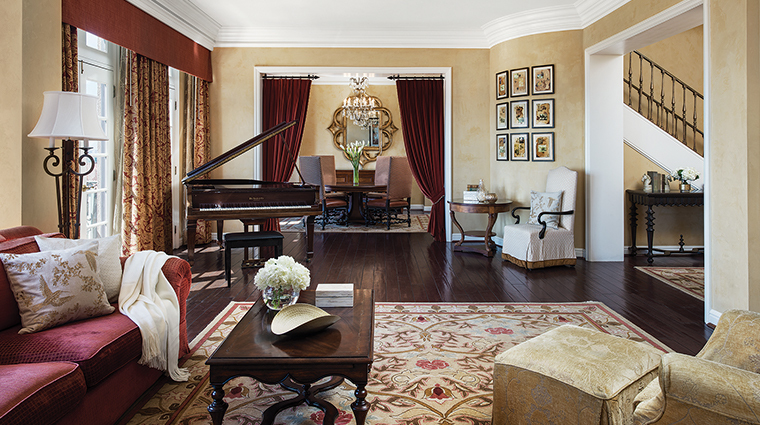 For a luxe treat, reserve the two-story Tournament of Roses Suite. 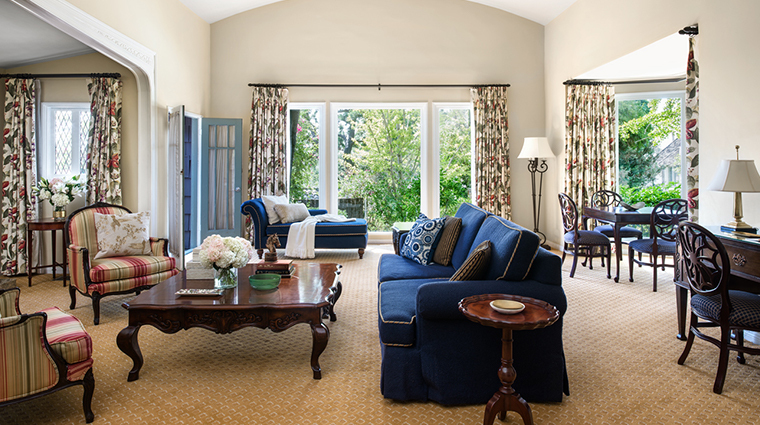 It offers a living room with a baby grand piano, a bathroom with a Jacuzzi, two bedrooms and a kitchen complete with a full-size refrigerator and its own service entrance. 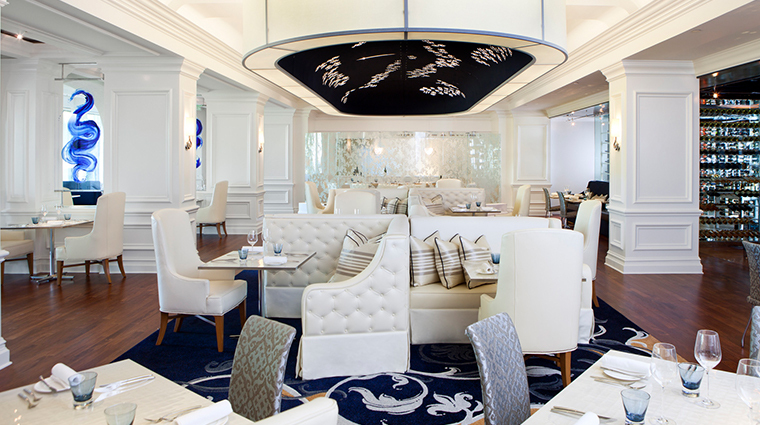 The Terrace is your destination for upscale California cuisine for breakfast, lunch and dinner, as well as a delectable dim sum brunch. The restaurant's patio affords views of the adjacent pool and Picture Bridge. At The Royce Wood-Fired Steakhouse, chef Dominique Shelton offers a selection of USDA prime cuts, Australian wagyu and Japanese Kobe beef cooked over a wood-fired grill that burns white oak and other seasonal woods to lock in maximum flavor. 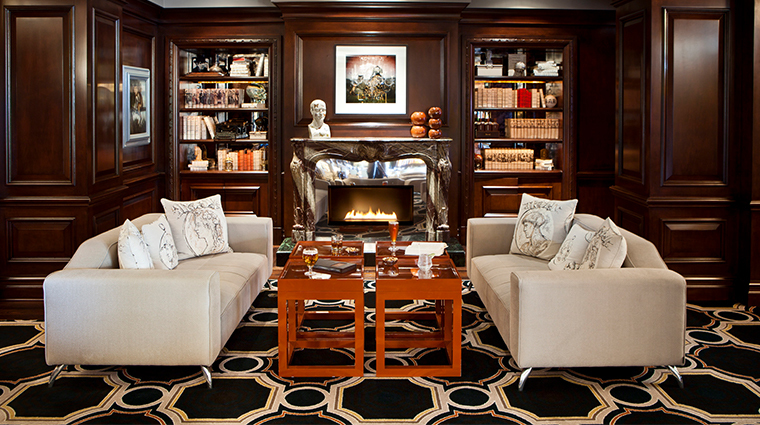 For more casual bar fare, The Tap Room serves a premium selection of beers, crafted cocktails and a curated wine selection all in an ambiance stylishly appointed with comfortable couches and places to lounge, including a patio. 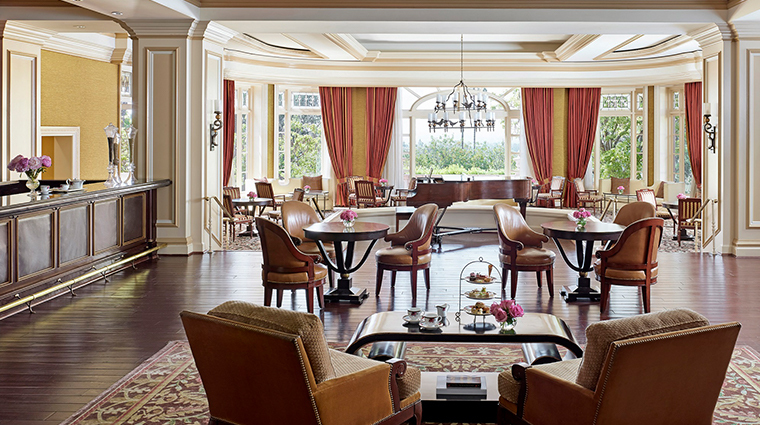 Those who want a more refined experience can opt for the Pasadena hotel’s daily Afternoon Tea with Wedgewood or the ever-indulgent chocolate edition offered on Sunday afternoons in the Lobby Lounge.